HOUSTON, May 18, 2016 /3BL Media/ – CITGO Petroleum Corporation is proudly continuing its partnership with Bess the Book Bus as the mobile literacy program embarks on another annual, multi-city tour, traveling to more than 25 schools in Alabama, Arkansas, Florida, Louisiana, Mississippi and Texas throughout the month of May. Dedicated to promoting literacy, reading to children and getting books into the homes of underprivileged children and families across the country, the CITGO sponsored Bess the Book Bus was founded by Jennifer Frances in 2002. Over the past 14 years, the bus has visited 48 states and distributed more than 500,000 books to children of all ages. To kick off this year’s spring tour, CITGO recently hosted seven Bess the Book Bus school visits in its hometown city of Houston, Texas, including stops at Grissom Elementary, Alcott Elementary, Rees Elementary, Petrosky Elementary, Outley Elementary, Woodview Elementary and Sherwood Elementary. The Houston leg of the tour was also enriched through the participation of the Barbara Bush Foundation for Family Literacy. Founded more than 25 years ago by Mrs. Barbara Bush and fueled by her passion for reading, the mission of this nonprofit is to advocate for and establish literacy as a value in every home. Frances and volunteers from CITGO and the Foundation read to several hundred students grades K-2 from each Houston area school and provided them with brand new books and bookmarks. CITGO partners with organizations like Bess the Book Bus and the Barbara Bush Foundation for Family Literacy to further its commitment of giving back to local communities. For updates on Bess the Book Bus' 2016 multi-city tour, visit www.Facebook.com/CITGOFuelingGood, www.Bessthebookbus.org or follow the Book Bus on Facebook and Twitter (@BookBess). CITGO is committed to giving back to the local communities it serves through its network of locally owned CITGO locations. 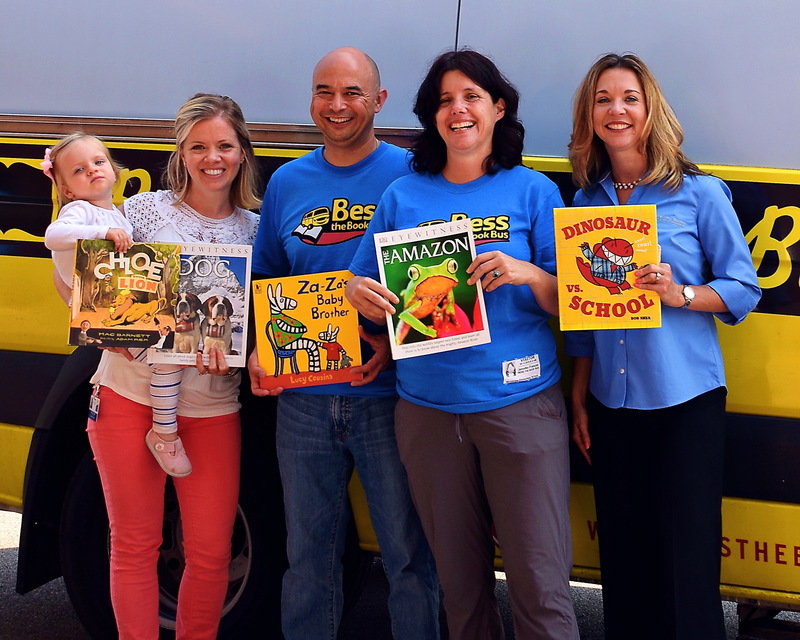 Local CITGO Marketers are proud to support their neighborhoods and work with programs such as Bess the Book Bus and The Barbara Bush Foundation for Family Literacy. For more information on the positive impact of the locally owned CITGO stations, visit www.fuelinggood.com.